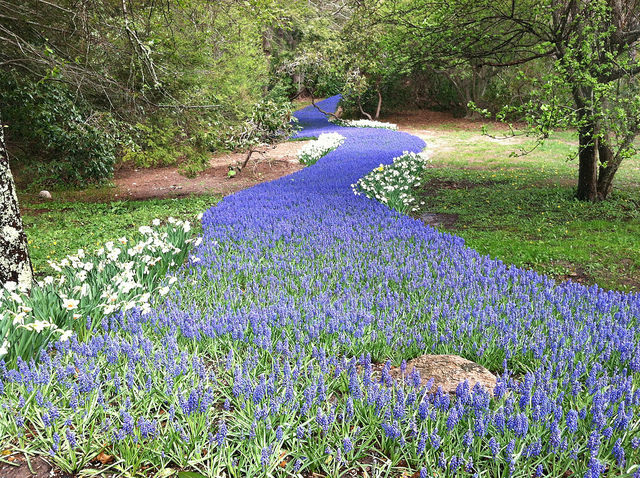 Visit the largest public gardens in southern New England right here in Sandwich, MA. Opening day of the Heritage Museum & Gardens for the 2018 season will be a big event on April 14, 2018 from 10am to 5pm. The 100 acres of gardens, tree specimens, nature trails, and sweeping lawns will delight you as you stroll the grounds as the new season bursts open in color and texture! When spring (really) arrives, the gardens will show the joy of the season in colorful blooms of crocuses, daffodils, and then tulips. But even in winter, the gardeners at this center can teach you how to have interesting colors and textures in your home garden. Various classes are scheduled even when the Heritage Museum & Gardens are “officially” open. 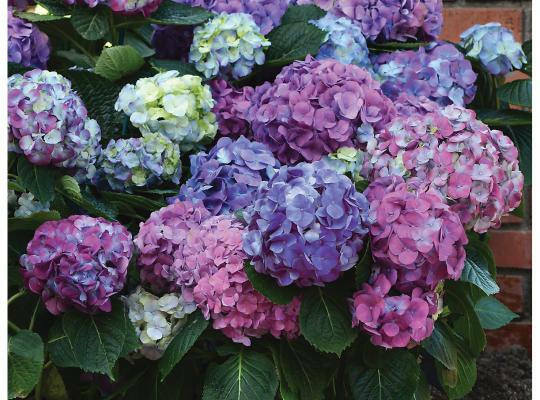 As an example, on April 7 & 8, 2018, instruction will be available concerning success with your hydrangeas with the help of a proper pruning. Register for this special class presented by Mal Condon, the Heritage Hydrangea Curator and lifelong gardener. (You will get a sneak peek at part of the Heritage Gardens during this class.) You know how special these gardens are because The North American Hydrangea Test Garden is housed here on this property. On April 14th, 2018, the Heritage Museum & Gardens will celebrate opening day with special guest, Wendell Minor. Mr. Minor will be available to answer questions and talk about the special exhibit of his work, Wendell Minor’s America. This showcase will be open from April 14 – October 8, 2018 in the special exhibit gallery. Wendell Minor’s artwork has been used as book covers for writers such as Mary Higgins Clark, David McCullough, Jean Craighead George, and Pat Conroy. His illustrations and books for children capture the image and essence of historic personalities such as Sitting Bull, Eleanor Roosevelt, Abraham Lincoln, Rachel Carson, and Buzz Aldrin. In this special exhibit you can visit a recreation of Wendell’s studio, peruse some of his sketchbooks, and imagine his creative process from idea to finished art or book. Spend a few hours walking the paths and trails in the 100 outdoor areas. The center has distinct areas of certain plants. 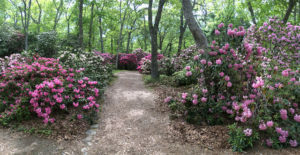 The Dexter Rhododendron Garden contains about 150 specimens of hybrid rhododendrons. From May 22through June 3, 2018, the Rhododendron is celebrated with a festival all its own! The gardens will be amazing with all the colors and varieties of this beautiful shrub. Special classes on the care and pruning of rhododendrons will also help you grown your own lush plants. No garden is complete without a water feature and The Heritage Museum & Gardens has a beautiful fountain known as The Flume Fountain. It is so much more than a fountain! This water feature is 208 feet long and splashes down 26 feet to a lily pond. Guests can view the Flume several times while they stroll down the Promenade in the gardens. The pond is filled with a variety of water lilies that reward the visitors for their walk through the gardens. Another fascinating garden on the 100 acres is The Windmill Garden. The primary feature of this area is the huge windmill that is reminiscent of windmills in the Netherlands. The flower gardens in this area were redesigned and replanted in 2014. The plants provide color from late spring through the end of summer. Come to this garden and get ideas for your own backyard flower garden! Cars and Stars of the Indy 500 will be the featured exhibit in the auto museum. This special car show will be open to visitors from April 14 through October 8, 2018. Twenty iconic Indy 500 cars will be on display. The 1914 Duesenberg is the oldest car and the 2016 NAPA winner is the most recent. The exhibit will feature photos and videos from races through the years. If it’s raining outside, there are still great reasons to visit The Heritage Museum & Gardens in Sandwich! Make your reservation for a springtime visit. You can visit all day for just $18 for an adult and $8 for youth (age 3-11). Group rates are available if there are 10 or more people in your party. You will avoid the summer crowds, see lovely gardens, and even experience some of the excitement of the Indy 500 Races. This entry was posted in General, Museums, Uncategorized by admin. Bookmark the permalink.